Based off of a pattern from Kandi Patterns. 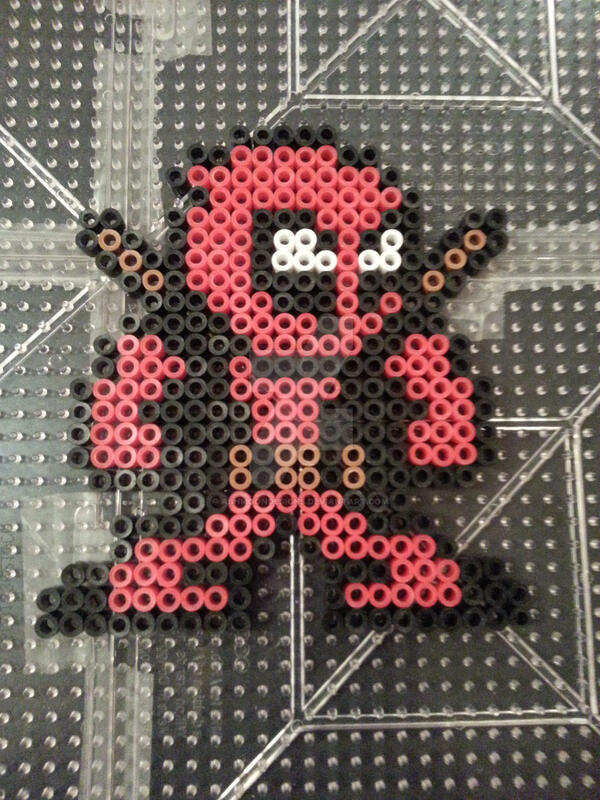 Created using a picture of another person's beaded Deadpool as a guide. Thanks! His brains go in last! ...or did I just forget them? Created by Nicole D'Andria with some help from the Bead It! app. Inspired to create thanks to Over World Creations at the Great Allentown Comic Con of 2014!